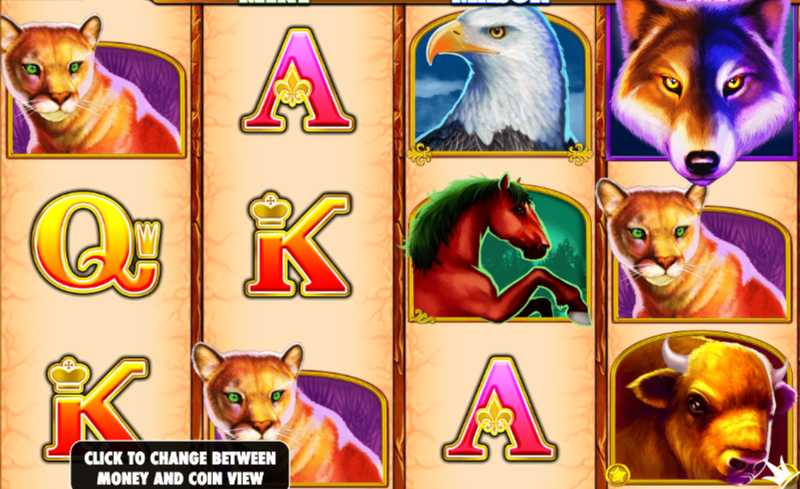 The game is inspired by the Native American theme - a slot with 5 reels and 25 lines with letter symbols and animal symbols. Grand Canyon backdrop with reels overlaid with animal symbols. The best lands on this game are wolves, scatters and jackpots. The game is pretty unusual in terms of its features. For example when you get 3 scatter symbols you get 5 free spins and the jackpot round which can give you big winnings. The design is colourful and bright. It’s a game worth trying and has a nice look and feel. 5 reels and 25 Paylines and a jackpot slot makes this a high volatility slot. The slot takes up to 10 coin values from 1-50 each per line. The buffalo is highest paid - awarding 20 times your bet for 5 in a row. Other lower values - the eagle, Puma, horse, Jack, Queen, King and Ace. The money respin feature is great and is triggered if 6 or more full moon symbols turn up in any position on the reels – each symbol holds a value or the mini or major jackpots. The most fun bit is once the feature is started you get 3 respins that will be automatically renewed again and again with the appearance of new symbols of the moon – each one with more prizes that get added to the total. Mega jackpot happens when you get all 15 symbols filled with these symbols which is the biggy prize. Graphics and design are fab with randomly appearing bonuses and unique features keeping your interest up. Apart from usual icons the play offers advanced functions, free spins, prize pay outs and special bonuses. 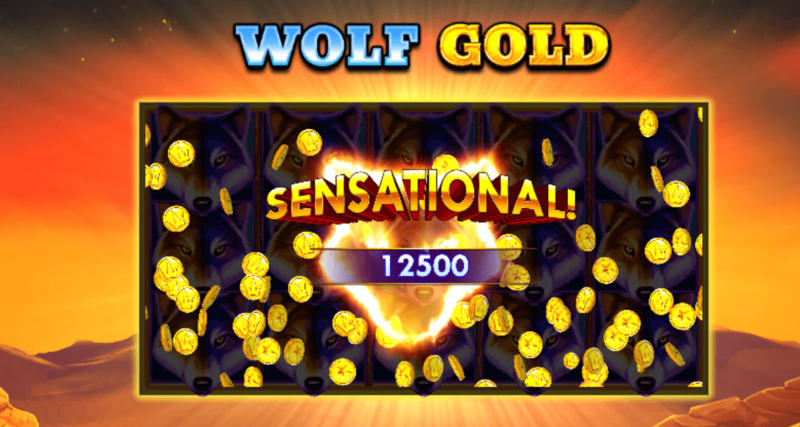 Novelty delights and intense on money making features - stacks of wilds, free spins, bonus rounds, prize pay outs, jackpots - make for highly entertaining gameplay. Nice design and usability plus low volatility. The stacked wild – a ferocious wolf howling under a full moon is pretty cool which can appear on any of the 5 reels and that’s part of what makes it feel like a good game. 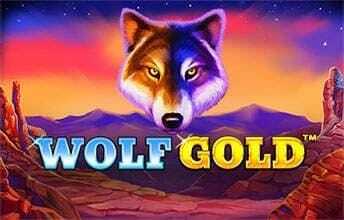 Have a punt on Wolf Gold!